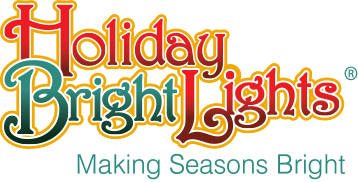 Holiday Bright Lights carries top of the line LED light sets with patented, sealed bulbs. 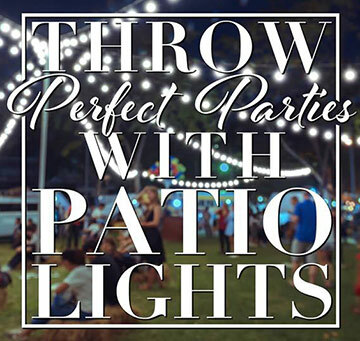 Designed to stand up in any weather, our light sets can be submerged in water, frozen in ice, and are UV coated to protect the vibrant color from the sun. Also known as wide angle bulbs, these lights pack a lot of brightness for their size. They show the same brilliance from any angle, making them perfect for trunk and branch wrapping. We even offer them in balled and detagged options for easy installation. One of our more popular retail light sets, C6 light sets have a slightly larger bulb making them perfect for canopy wraps and larger trees. 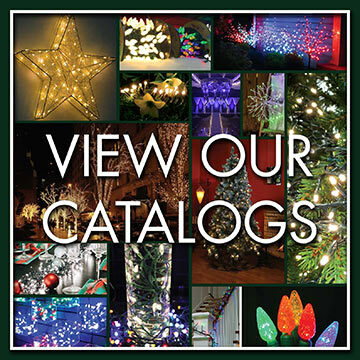 Another great option for wrapping trees, the LED M8 has a slightly more traditional shape. The M8 is the same bulb that is used in our wire pieces, light links, and starbursts. The energy saving LED version of the traditional incandescent mini light. Great for use in Christmas trees and other holiday decor. Just like the Christmas lights you grew up with, incandescent lights are lit with a filament giving them a soft, warm glow. RGB lights have the ability to shift to virtually any color combination and pattern of motion. They come in a variety of styles including mini pixels, bullet pixels and pebble lights. RGB installations allow you to change colors for different holidays, events, or just to change the look of the display with the touch of a couple buttons on your smartphone.